Concepts are where all great ideas begin. Whether scribbled in a sketch pad or on a napkin, concepts are a way for artists to develop their skills and discover interesting shapes and forms that can be developed into their next masterpiece. In Sketching from the Imagination, 50 talented traditional and digital artists have been chosen to share their sketchbook works, from doodled concept sketches to fully rendered drawings. 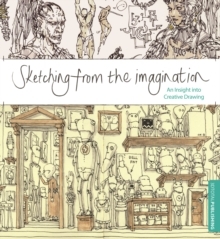 A visually stunning collection packed full with useful tips, Sketching from the Imagination is an excellent value resource for concept design to inspire artists of all abilities.